The Korea Composite Stock Price Index has been rising for 13 straight sessions, beating the previous record set 35 years ago. 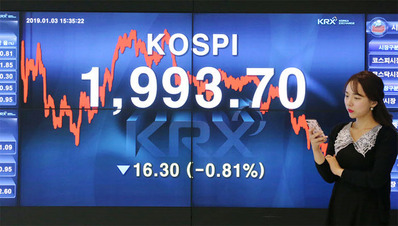 The KOSPI closed up 0.26 percent on Tuesday at 2,248.63 points and has been rising since March 29. Foreign investors led the bull streak, snapping up W2.5 trillion worth of IT, banking and duty-free-shop stocks (US$1=W1,137). But individual investors cashed in W2.6 trillion worth of stocks on the strength of the rally. 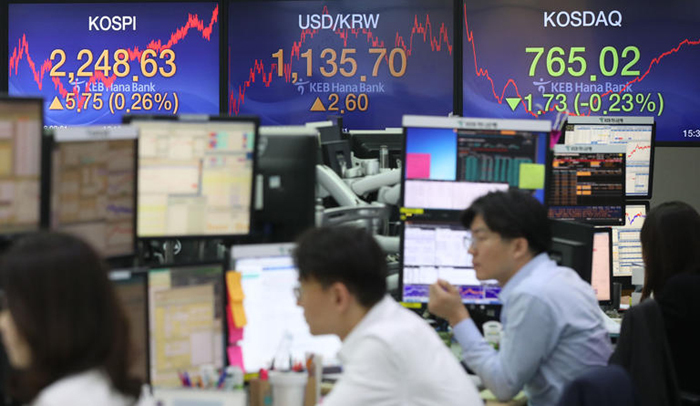 The KOSPI rose 5.7 percent over the 13 sessions.